Anne and Pierré-André Déplaude used to be dairy farmers in this little village located just south of Lyon. Sandwiched between northern Rhône and southern Beaujolais. 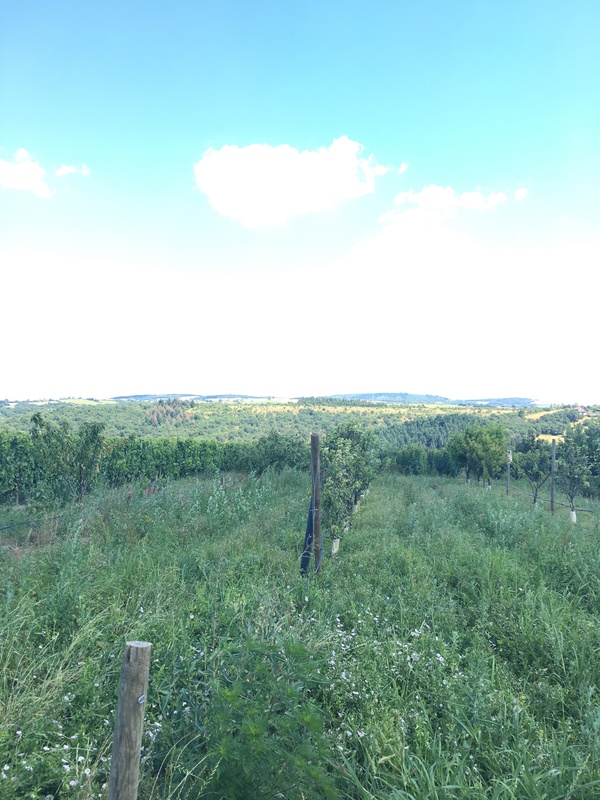 This very un-famous appellation where planted with over 20 000 hectares before the phylloxera. After that there were not many people that re-planted, today the total surface under vineyards is just 20 hectares. In 2003 Anne and Pierré-André where through with the milk industry and started to plant their land with vines. 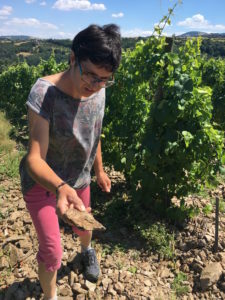 Today they have 5,7 hectares of their own and 2 hectares rented, on the steep schist slopes in the village of Tartaras. 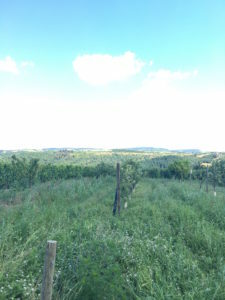 They planted the land with the 10 different grapes that was grown here before phylloxera (5 of them are almost unheard of) and which are also allowed within this area. They made their first vintage in 2004 and has since 2007 been working 100% organic and since 2009 also biodynamic. They normally sell their annual production of around 19 000 bottles locally to private customers and on wine shows so we are really happy to be their second export customer. 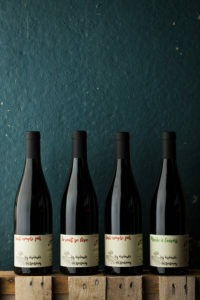 These wines are really like something we’ve never tried before. The reds are elegant, fruit driven and mineral with very fine tannic structure. The whites are fruity, fresh with a nice bitterness. Vinification: Direct press, then fermented and aged 10 months in old barriques before blending and bottling in July 2018. The name means: The world is upside down. Soil: Mica schist with gravel. Vinification: Direct press, then fermented and aged 6 months in concrete tank before bottling. 1000 bottles produced, we had to fight down an American importer to get 120 bottles. Vinification: Direct press, then fermented and aged 8 months in old barriques before blending and bottling. The name means: The world is upside down. Vinification: Direct press, then fermented and aged 8 months in old demi muid and fiberglass tanks before blending and bottling. The name means: Sensible chord. Age of Vines: 18 years old. Vinification: Partly de-stemmed, partly whole bunches ferments together. Some semi maceration carbonique also takes place. After around 2 weeks of maceration, pressing and blending follows. Then ageing for 9 months in concrete tanks before bottling. Vinification: Partly destemmed, partly whole bunches ferments together with some semi maceration carbonique also takes place. After around 2 weeks’ maceration pressing and blending follows. Bottled in July 2018. Vinification: 80% of the grapes are de-stemmed and fermented together with 20% of whole bunches for 20 days before pressing and continuously ageing for 9 months in old demi-muid before bottling. Vinification: Partly de-stemmed, partly whole bunches fermented together for 2,5 weeks before pressing and blending. Then aged for 10 months in old demi-muid and barrique before blending and bottling. Vinification: 90% de-stemmed, 10% whole bunches ferments together for 20 days before pressing. Then aged for 11 months in old demi-muid and barrique before blending and bottling. Vinification: Whole bunch fermentation for 10 days before pressing. Then aged for 10 months in one old barrique and one 500 liter fibre glass tank before bottling.